In April 2018, the Environmental Protection Agency (EPA) completed a thorough review of its Lead-Safe Renovation, Repair, and Painting Rule (RRP) promulgated a decade ago. This rule requires contractors and landlords to use lead-safe work practices when more than minor amounts of lead-based paint in homes built before 1978 are disturbed. It also applies to pre-1978 child-occupied facilities. This review was conducted pursuant to Section 610 of the Regulatory Flexibility Act because of RRP’s significant impact on more than 300,000 small businesses that perform more than 4 million affected projects each year. EPA concluded that RRP, including several post-2008 amendments, “should remain unchanged without any actions to amend or rescind it.” As part of the review, the agency updated its economic analysis and found that the estimated annual societal benefits, primarily in improved children’s IQ, of $1.5 to $5 billion exceeds the $1 billion in estimated annual compliance costs. Those estimates translate into an impressive annual payback of 150% to 500%. Keep in mind that these benefits do not include the lower risk of premature cardiovascular deaths attributed to adult lead exposure in a March 2018 report in Lancet. Update: On July 2, 2018, EPA issued the proposed rule after the court gave it a 90-day extension. The agency has one year – until July 1, 2019 – to issue a final rule. Blog clarified on timing. This week, the federal Ninth Circuit Court of Appeals directed the Environmental Protection Agency (EPA) to update its regulations defining lead-based paint and how much lead in dust represents a hazard. The court gave EPA 90 days to issue a proposed rule and one year later to publish a final rule with an option to convince the court that it needs additional time. The court said the agency had unreasonably delayed action on a citizen’s petition submitted in 2009. The science showing the need for action has only become more compelling in the eight years since EPA acknowledged the shortcoming of its rules. Rather than drag out this litigation, the agency should move quickly to revise its lead-based paint hazard standards to better protect children’s health. EPA set the dust-lead hazard standard in 2001 after determining that a child living in a home with those levels had only a 1 to 5% chance of having an elevated blood lead level (EBLL) as defined by the Centers for Disease Control and Prevention (CDC). The scientific evidence now shows that the risk is greater than previously estimated. In addition, CDC has tightened its definition of an EBLL. As a result, according to the American Academy of Pediatrics, the risk to a child of having an EBLL in a home that meets EPA’s current dust-lead hazard standard is more than 50%. Yesterday, after three years of deliberations, California’s Appellate Court for the Sixth District held that three defendant companies – Sherwin-Williams Company, NL Industries, and ConAgra Grocery Products— created a public nuisance in ten plaintiff jurisdictions in the state by promoting the use of lead-based paint in the interior of residences built before 1951 even though they had actual knowledge of the harm the paint would pose to children. The case now goes back to the trial court to determine the amount that defendants must pay into a fund to remediate pre-1951 homes with lead-based paint in those jurisdictions and to appoint a suitable receiver to manage the fund. The Court of Appeals’ decision requires remediation of the lead-based paint, but not its complete removal, in the ten California jurisdictions that were plaintiffs in the case. The jurisdictions are: seven counties, Santa Clara, Alameda, Los Angeles, Monterey, San Mateo, Solano, and Ventura; two cities, Oakland and San Diego; and the city and county of San Francisco. The case, which began in 2000, rests on public nuisance law in California. While all states prohibit public nuisances to protect the public from threats to their health and safety, the requirements vary significantly among the states and rely heavily on precedent set in prior state court decisions. In California, a public nuisance action requires proof that a defendant knowingly created or assisted in the creation of a substantial and unreasonable interference with a public right. The defendants must have actual knowledge of the public health hazard. In 2010, the California Supreme Court overruled a previous decision by the trial court and provided key interpretations of public nuisance law that shaped yesterday’s court decision. While the paint companies are expected to appeal this decision to the California Supreme Court, the decision is likely to stand because the Appellate Court hewed closely that court’s 2010 decision. 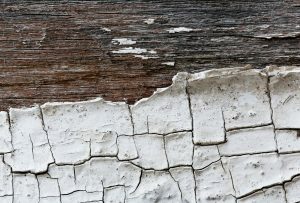 The Appellate Court for the Sixth District was reviewing a 2014 trial court’s decision that the Sherwin-Williams Company, NL Industries, and ConAgra Grocery Products must pay $1.15 billion to remediate homes built before 1978 with lead-based paint in the plaintiff’s jurisdiction. The three judge panel of the Court of Appeals narrowed the scope of the trial court’s decision from homes built before 1978 to those built before 1951. The panel found that there was insufficient evidence that the three companies had promoted lead-based paint for interior residential use after 1950, even though they may have sold the paint after that date. Similar cases had been brought in other states including Illinois, New Jersey and Rhode Island. In 2008, the Rhode Island Supreme Court overturned a trial court decision finding paint companies liable for the state’s public nuisance law. The California court found its case was different because it involved an extensive assessment of voluminous evidence presented at trial. The other cases were decided on pleading and did not get to the merits of the evidence. While lead-based paint is not the only source of lead exposure to children, it is the most significant for those children living in homes with lead-based paint, especially when the paint is deteriorated. Thousands of children still live in homes with lead-based paint hazards – with poor and minority children at greatest risk. This court decision is a first step that will hold companies responsible and result in the removal of toxic lead paint in homes across California and may serve as a roadmap for other states. ConAgra was a defendant because it had owned Fuller Paint Company’s liabilities through a series of mergers. The proposal before the ICC would change the model building and residential codes to require that contractors present proof of lead-safe certification when they apply to do work on pre-1978 homes. Lead paint was banned in 1978, meaning homes built before that time are significantly more likely to contain lead paint. The certification itself is nothing new, it is already required at a federal level. Yet, most localities do not require any proof of certification when issuing permits to renovate these homes. Update: ICC’s code officials rejected the proposal. As of Jan. 11, 2017, vote tally is not yet available.